… with a little help from the fabulous illustrator, Nicola O’Byrne. 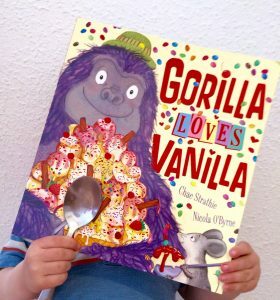 Great news – Gorilla Loves Vanilla was voted the winner of this year’s Bookbug Picture Book Prize. 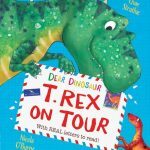 Huge congratulations to Chae and Nicola, and to the good folk at Scholastic for having had the good sense to publish this fantastic book.